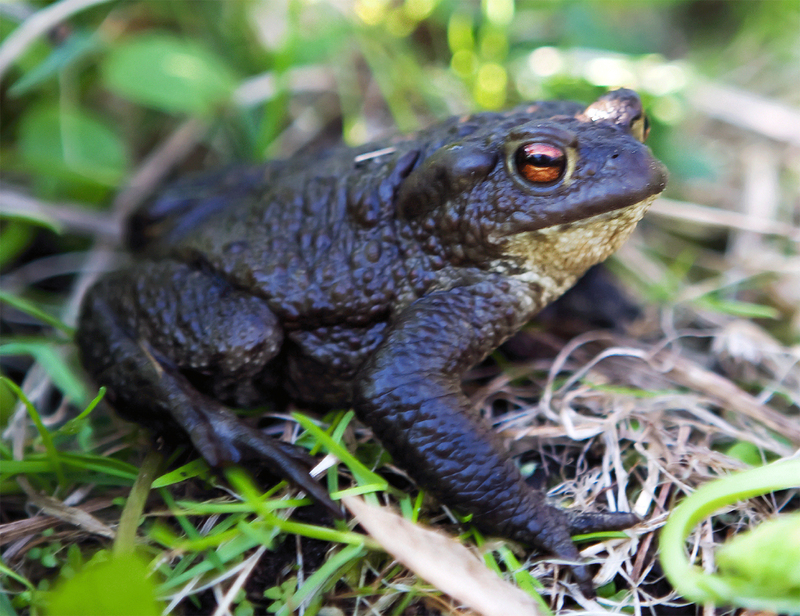 The most common reptiles and amphibians found in the fringes of Vanhankaupunginlahti’s wetlands are the viviparous lizard and the European common frog. In late April, the impressive croaking of European common frogs can be heard, for example, in Mölylä, in the ponds near the allotments. At the peak of the spawning season, you can find ponds containing over a hundred croaking frogs. The moor frog lives unseen in the wetlands. However, it can be heard during the spawning season, for example, near the Pornaistenniemi bird hide, making a gurgling sound somewhat similar to a bottle being pressed underwater. In addition to its vocalisations, the moor frog can be distinguished from the common frog by its more pointed snout and smaller size. The making out of other distinguishing features requires closer inspection. The moor frog also has annual spawning places in Purolahti and the shore of Saunalahti. In the mid 20th century, Vanhankaupunginlahti was also home to a population of marsh frogs, which are known for their loud vocalisations. Marsh frogs live in large colonies and croak throughout the summer, even during the day, though they are at their loudest during early summer. These large, green frogs were most likely introduced to the bay by humans, but they haven’t been seen in the area since the 1960s. Rupikonnaa esiintyy Viikinmäellä, mutta vain harvinaisena Vanhankaupunginlahdella. Common toads, though found in Viikinmäki, are rare in Vanhankaupunginlahti. If you’re lucky, you might be able to spot a smooth newt in the ponds and ditches of Vanhankaupunginlahti. Smaller than viviparous lizards, smooth newts spawn in the ponds of Pornaistenniemi and can sometimes be seen lounging on the duckboards. Viviparous lizards often sunbathe on the area’s duckboards and rocks. They can be seen in particularly large numbers and up close on the duckboards leading to Lammassaari, where they have grown accustomed to passers-by. Here you can typically see both young lizards, which are only a few centimetres long, as well as older individuals with scarred backs. 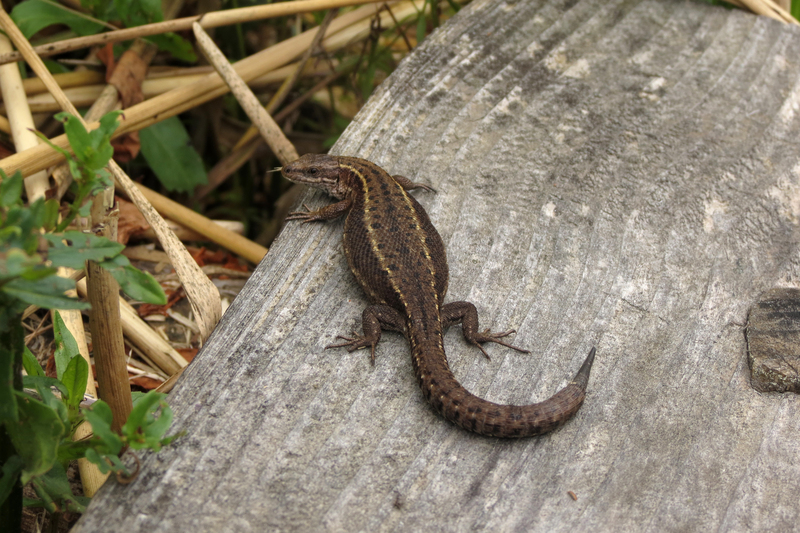 Please keep in mind that viviparous lizards are protected, along with other reptiles and amphibians, excluding the common European adder, meaning that disturbing or hunting them is prohibited. The common European adder is rarely seen in Vanhankaupunginlahti. In the past, adders were more numerous and widespread in the area, but nowadays sightings are few and far between, although a few are made each year. Even more uncommon is the grass snake, which has only been sighted a few individual times in the area. The fourth reptile species found in Vanhankaupunginlahti is the slow worm. In summer 2016, slow worms were sighted in Hallainvuori and the Herttoniemi sawdust track. Previous sightings were from 1991, over two decades ago, when a dead slow worm was found in a field road in Latokartano. Despite its snake-like appearance, the copper and grey-coloured slow worm is actually a lizard, and completely harmless to humans. As its name implies, the slow worm moves slowly, and spends much of its life in hiding.